Reading through some XBox One reviews earlier today, and I am convinced that these sites/reviewers either, a) don’t have a clue, or b.) have Apple stuck so far up their butts they can’t clearly rationalize (see a.). What they and many others don’t understand is that Microsoft has no interest in keeping between the lines. Their focus is to introduce game changing (no pun intended), affordable devices for people to use in multiple ways. They will not be pigeonholed into pre-defined categories. On the contrary, they are creating new categories. Disclaimer: I am going to make some assumptions in the paragraphs below for simplicity in trying to make my point. These assumptions are in no way a reflection of my personal preferences. Ok, for arguments sake, let’s assume that the new Sony PlayStation 4 rates a perfect 10. It’s a gaming console for serious gamers. I get that. No dispute. Let’s also assume for a minute that the XBox One rates respectable 8.5. Based on what I have read, that’s close to a fair assessment. Ok, but XBO is not just a Gaming Console. It is also an Entertainment Console. So let’s run through those numbers again. This time, it’s the XBO that rates a 10. And I will politely give the PS4 a fair 6. So, if you are out shopping for a Gaming Only Console, looks like the PS4 is for you (10 vs. 8.5). But if you are interested in a Gaming/Entertainment Console, then the XBO is the only logical choice (18.5 vs. 16). Why do reviewers not consider ALL of the things a device can do, and instead focus of a pre-defined list of questions based on a narrow minded view. Why would you say the XBOs additional cost is not justified, even though it is far from being a one trick pony. Who wrote the rules that state a gaming device cannot do other things, like make Skype calls or watch TV. News flash reviewers. THE GAMING CONSOLE IS DYING! (despite Sony selling millions of PS4s to “serious” gamers only). The Gaming/Entertainment Console is the “new” now. Revolutionary, not evolutionary. Change you damn script and reevaluate. Again, I will assume (reluctantly) for a moment that the iPad rates a perfect 10 in this category. And, I will give Windows tablets a clear 8 for their very respectable offerings. But, lets take a closer look. What happens to that Windows tablet when you attach a keyboard and flip out a kickstand. That tablet is suddenly a respectable laptop. How the hell did that happen. What am I looking at? Let’s call it a Tablet/Convertible. 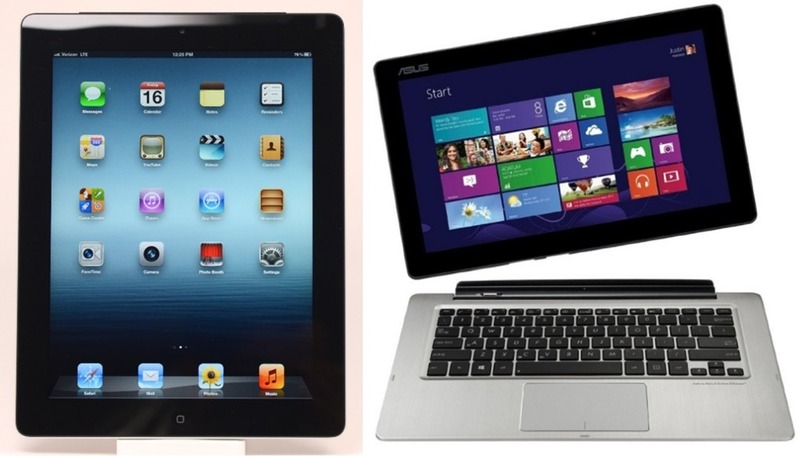 Ok, as a baseline the Windows Tablet/Convertibles get a 10 here. Innovative, affordable, flexible. How about that iPad. Sure, you can add a BT keyboard, and maybe get a case so you can prop it up. But, can you install Adobe Acrobat, or AutoCAD, or maybe even Microsoft Office? I will be generous and give the iPad a 5 in the Table/Convertible category. If I have $500 to spend, do I want a device that can do one thing very well (although I still can’t find that USB port), or maybe a device that can do several different things pretty well. The tablet as we knew it for the past few years is losing that pizzazz as these feature rich tablet/convertibles flood the market. Another new category that is confusing reviewers. Ok, I get it. Here is the “bar” (iPad) and everything gets measured against the bar. But when something revolutionary comes along (as the iPad did a few years ago), you need to take a step back and reevaluate. The iPad is not a PC. The Windows tablet/convertible is. Oh, and the PC isn’t dead. It just looks different. Sure, sometimes it’s better to have a device designed for a specific need. You can buy slotted and Phillips screwdrivers in various sizes. But if you only have the resources (or space) for one, that 4 in 1 screwdriver is a best bet. Works almost as well as having four of the specific slotted/Phillips variants. And that makes it cheaper, even though 1 for 1, it will cost you more up front. If all you do is read books, then maybe you only need an eReader. That’s your choice. But if your looking to get bang for your buck, then you best bet may be one of Microsoft’s reimagined new categories of new devices. It’s time for consumers to get out of that box that manufacturers have built around you. Just sayin. Hi Jim. I kind of see your first point but I find more value in a gaming PC and say a roku or chrome cast for entertainment. Gaming PCs cost more but if you are willing to wait you can get games for next to nothing if you wait a year after release. Also on the tablet front to each his own. I know several people who are not looking for a small PC but rather a bunch of one off apps. For them iPad works. After owning an iPad mini for a year I’m in the category of I want a mini PC. BTW you tried any of the new generation windows 8.1 tablets. I’m looking at dells lineup. The venue pros. Haven’t tried the new batch of 8.1 tablets yet, but I do own an Acer 8″ W3, upgraded to 8.1. Despite the poor display, which I knew about going in, it has become my 2nd favorite device (next to my Nokia 1020). The power of full Windows in an 8″ form factor. No compromise. I don’t have any KB attachment for this little guy, so I am forcing myself to use it as a tablet only. Although it has the power to be docked to a monitor, kb, etc. Been using it with SmartGlass the past two days be the navigation screen for my XBox One. The 8″ tablets are easier to hold for long periods. And even with my failing eyes, are easy to navigate. Looking forward to getting a hands on with the new Dell and Lenovo offerings. 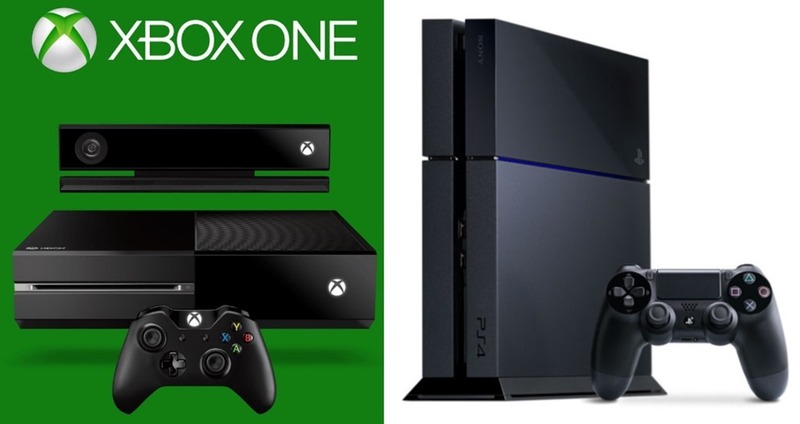 As an owner of both the PS4 and the Xbox One, the PS4 is far superior at what it’s primary purpose is – gaming. The Xbox has a much better grasp on multimedia, and yes, the voice control/kinect is miles ahead of what they offer on the PS4. But the Xbox isn’t as powerful, and is in many ways limited by its attempt to ‘omni-task’. As for the iPad, Apple has never pushed it off as a PC or a Laptop (remember the whole ‘post PC’ thing? ), it’s a great tool for lightweight tasks, and is becoming even more powerful and useful for photo, video, audio and other professional tasks. Are there limitations? Duh. Does Apple care? Nope. Last I checked, it’s the most profitable ‘computer’ on the market next to the iPhone. That being said, I don’t use an iPad anymore – I gave mine to my wife shortly after getting my 12-15 hour MacBook Air this summer. Saying Microsoft is ‘just better’ is a little off though. I’ve used MANY Windows 8 (or is it New Windows?) devices, and never liked a single one. At all. It’s the OS, it’s just… ugh. Also, I can’t stand the interface on the Xbox one, and that is the reason (in my opinion) that they’ve put such a heavy reliance on voice commands. Its almost 100% of the time easier to say what you want to do vs. using the controller to do it. I have a wide array of tech devices (there are well over 65 devices connected to the internet in my house at this time), and I make a point of buying the best ones I can get my hands on. I still haven’t seen an argument for moving from my iPhone that has made me do so. I can’t recommend anything other than an iPad for a tablet (not a keyboard-less laptop like a Surface), and I can’t see a single reason to use Windows anymore (and please don’t say ‘Office’ since that’s on OS X already) since OS X is far superior in my opinion (both personal and professional opinion – I make my very comfortable living off of the fact that Microsoft’s software is so crappy) and comes with so many entertainment, productivity and creation applications out of the box. Microsoft is better? For who? you? Sure. Certainly not for me. Not for my family — only my brother has a PC and he only uses it for gaming. Most of the people I work with only begrudgingly use a PC for work. Almost everyone I converse with on a daily basis have iPhones (nice to see so many blue iMessage bubbles in my texts).